And then…..there is Snake’s Poo. Yep, that’s what I said! Again, I’ve not tried this method, personally I’m not friendly enough with any snakes to collect their poo but again I’m told that this works a treat if you spread it through the inside and outside the house, including the roof void. Mice can smell it from a mile off and there is no noticeable odor to humans – that has to be a bonus. I’m not sure exactly where you would spread it inside the home that would be away from human contact so I wouldn’t personally go there, but you can buy snake poo from some pet and wildlife shops……maybe try this out in the shed if you have mice problems there, unless of course it brings more snakes to visit? Last but not least…..My choice is to bring a cat home. They really do keep the mice at bay and if you’re lucky, they may even decide to keep you. At the other end of the humane scale totally is the Glue trap or Sticky Mouse Trap. This product is exactly what is sounds like, mice are trapped in the glue and are unable to free themselves until they dehydrate, starve to death or their heart gives out from struggle. In an effort to free themselves they rip patches of skin and fur and even limbs from their bodies. Not only mice get caught on these things, all kinds of harmless insects and even birds cannot free themselves from the sticky trap. Disposal is also a health issue. We don’t choose to use this product. At Bug Boy, our chief aim is always to reduce the likelihood of infestation of property, whether that be of mice, rats, fleas or termite. There are always things that you can do in and around your household to minimize the risk on any kind of infestation. 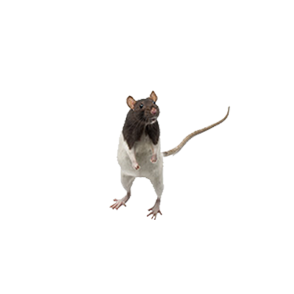 With mice….ensure that crumbs aren’t left on bench tops, the floors or inside the pantry shelves every night. Use steel wool in spaces and crevices under sinks and holes that allow entry from the exterior of your home. Just these few simple steps will have an effect that will reduce the probability of infestation from mice. This entry was posted on Friday, March 28th, 2014 at 12:00 am and is filed under Mice. You can follow any responses to this entry through the RSS 2.0 feed. Responses are currently closed, but you can trackback from your own site.